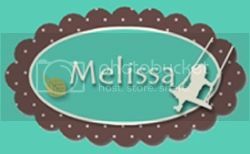 Porch Swing Creations: For All Things Projects - Published! I am so excited to share these projects featuring the set All For You from the new Holiday Catalogue due out on August 28th with you today! I was honored to be asked at the beginning of the year to be part of the Stampin' Up! 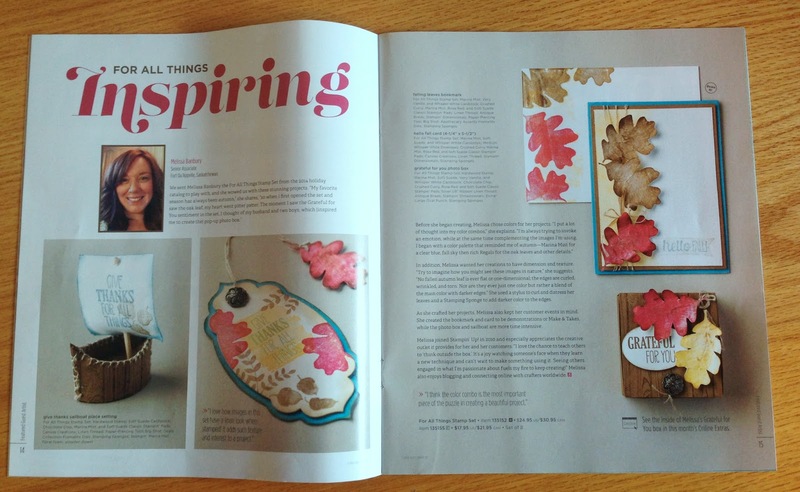 Demonstrator magazine, Stampin' Success and I quickly accepted the opportunity! I received my hard copy in the mail last week and I think I'm still floating on Cloud 9 seeing my work in print! 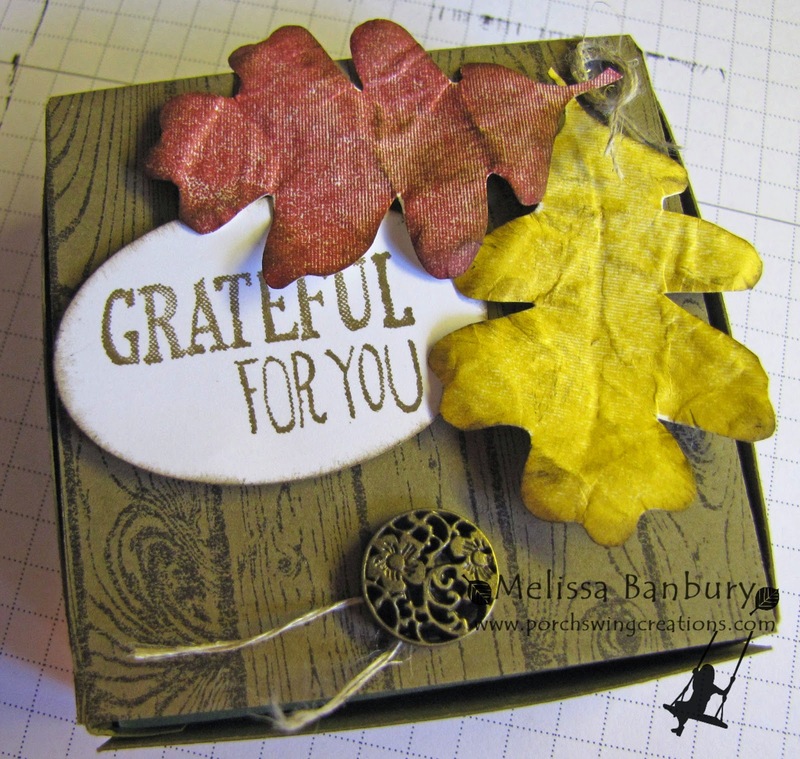 I created four projects for the article: a card and envelope, a bookmark, a tiny sailboat place setting marker, and a small box that when opened reveals a pull out of my family; appropriately titled Grateful For You Photo Box. After numerous requests on instructions for the box and sailboat I put together a photo tutorial below so you can follow along and create your own. 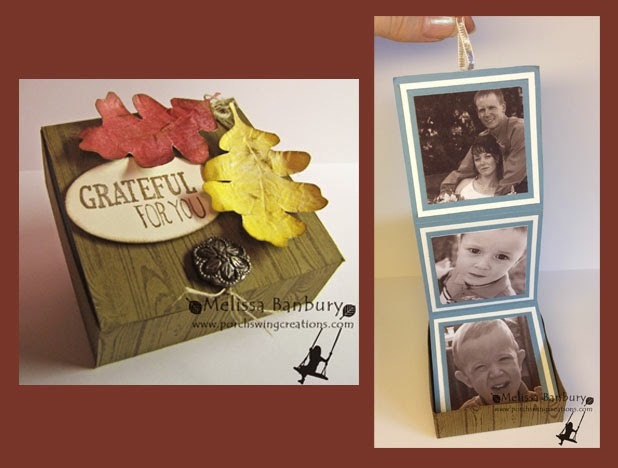 A perfect project to showcase your loved ones! 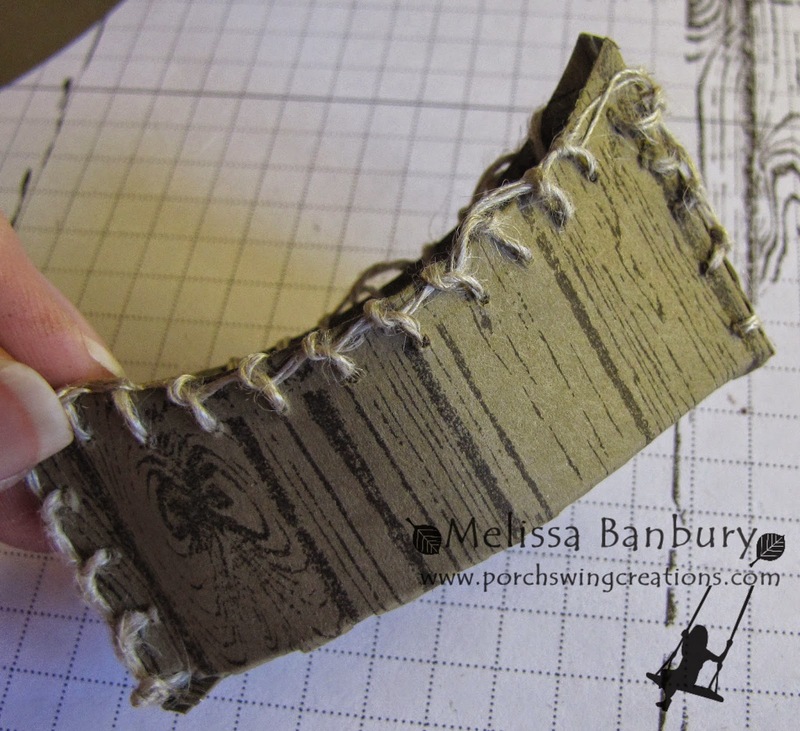 Begin by cutting a piece of Soft Suede card stock measuring 5" x 5" and a second piece measuring 4 1/8" x 3 1/8". 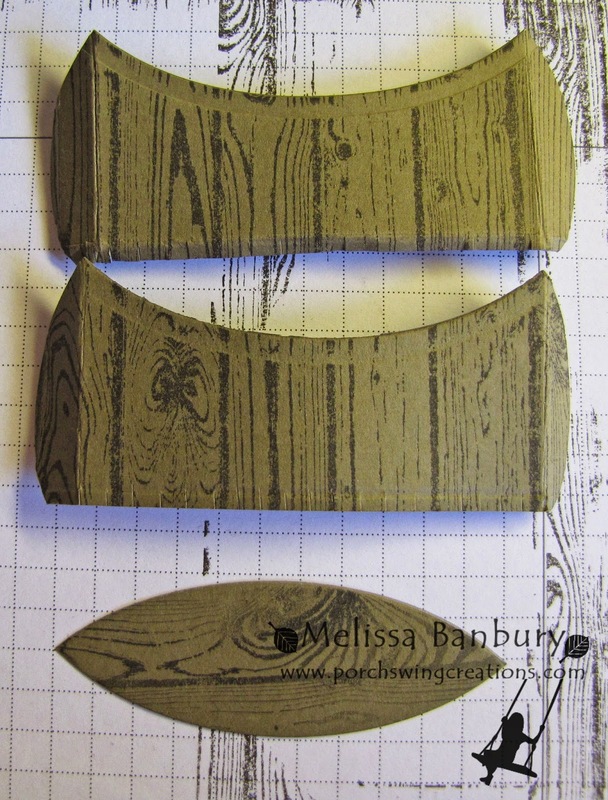 Stamp both pieces using the stamp set Hardwood with Chocolate Chip ink. Score the 5" x 5" piece at 1" on all four sides. Cut miter tabs on both sides of the box. Place Sticky Strip onto each of the four mitered tabs, fold inwards and glue together to create the box bottom. 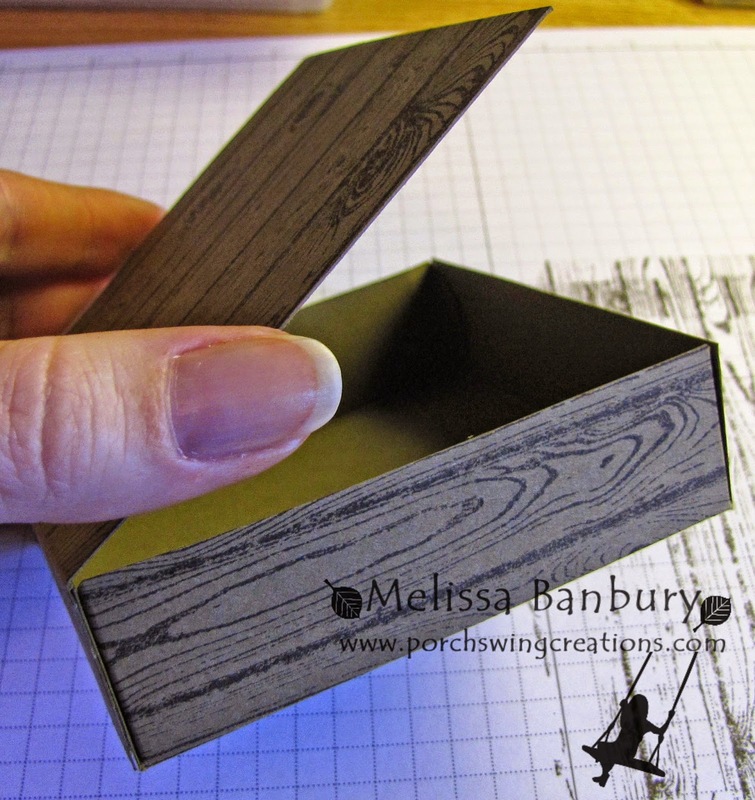 Place Sticky Strip along the 1" tab on the lid and adhere to the backside of the box, creating a hinged lid of sorts. Cut three Whisper White mats measuring 2 3/4" x 2 3/4". Cut three Marina Mist mats measuring 2 1/2" x 2 1/2". Print three photos sized to 2 1/4" x 2 1/4". 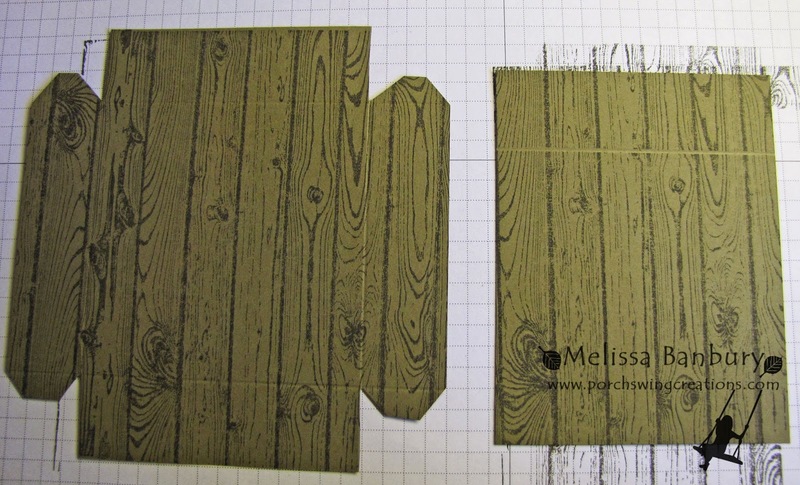 Glue the mats and photos to the 12" strip using Multipurpose Liquid glue. Cut a piece of 1/8" Silver Ribbon approximately 2" long, fold over to create a loop and adhere to the top backside panel using Crystal Effects. 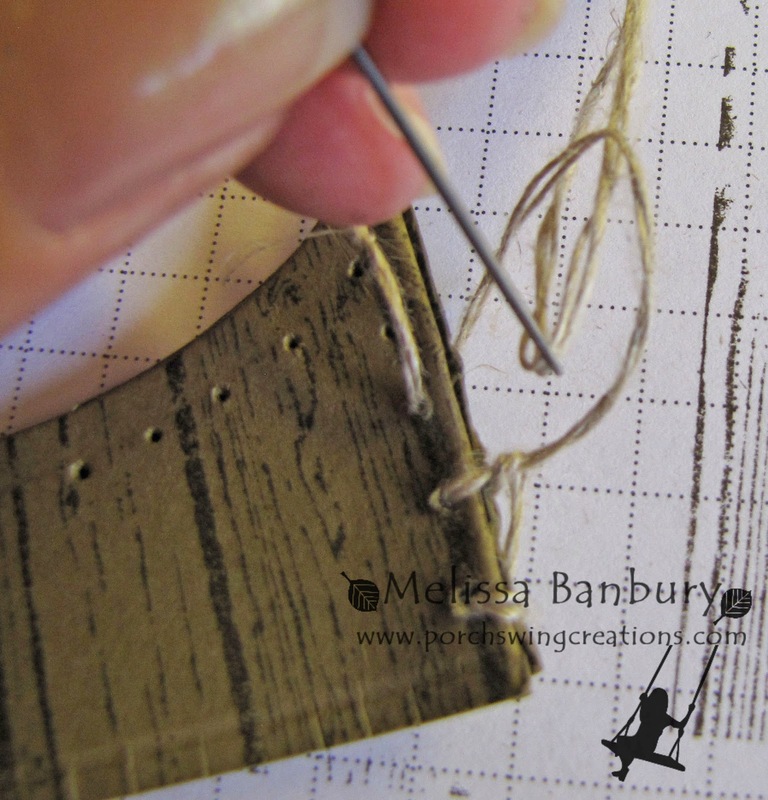 Add an Antique Brad to the lid of the box and tie a small length of Linen Thread around the brad. Stamp two leaves from the For All Things set onto Very Vanilla card stock; one with Cherry Cobbler ink, one with Crushed Curry ink. 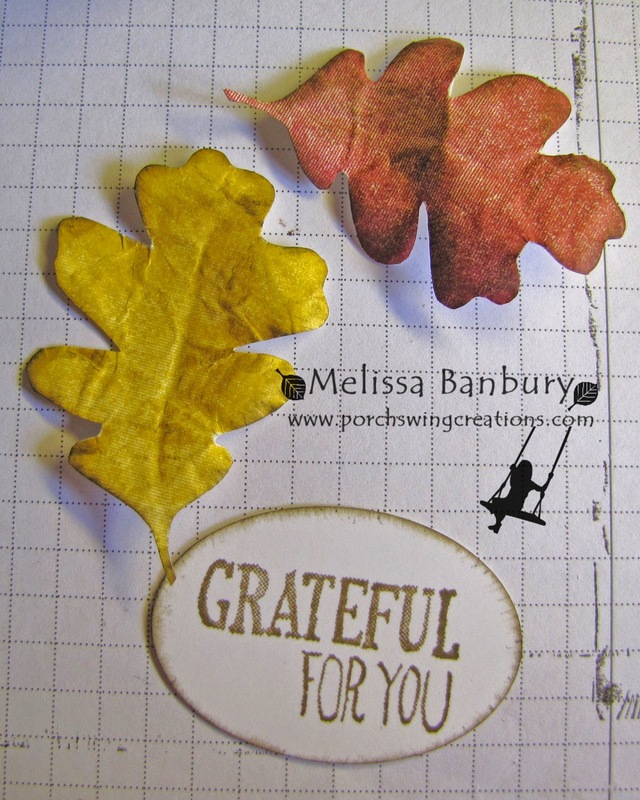 Cut out each leaf using Paper Snips. Working on the backside of the leaf on a foam mat gently use a Stylus Tool to add dimension. A circular motion achieves the best results. Sponge the edges of each leaf with Soft Suede ink. Stamp the Grateful For You sentiment onto Whisper White card stock with Soft Suede ink, punch out with the Extra Large Oval punch, then sponge the edges with Soft Suede ink. 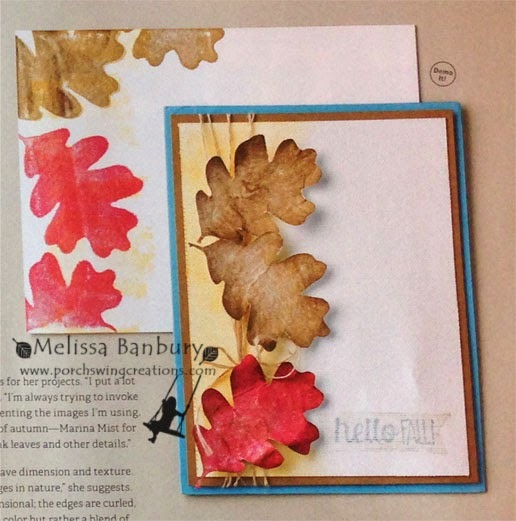 Adhere the leaves and sentiment using Stampin' Dimensionals. A a small knot of Linen Thread over the leaf stems with Crystal Effects. How cute would this be to greet your guests at the Thanksgiving dinner table? It's even large enough to hold a few small candies inside! 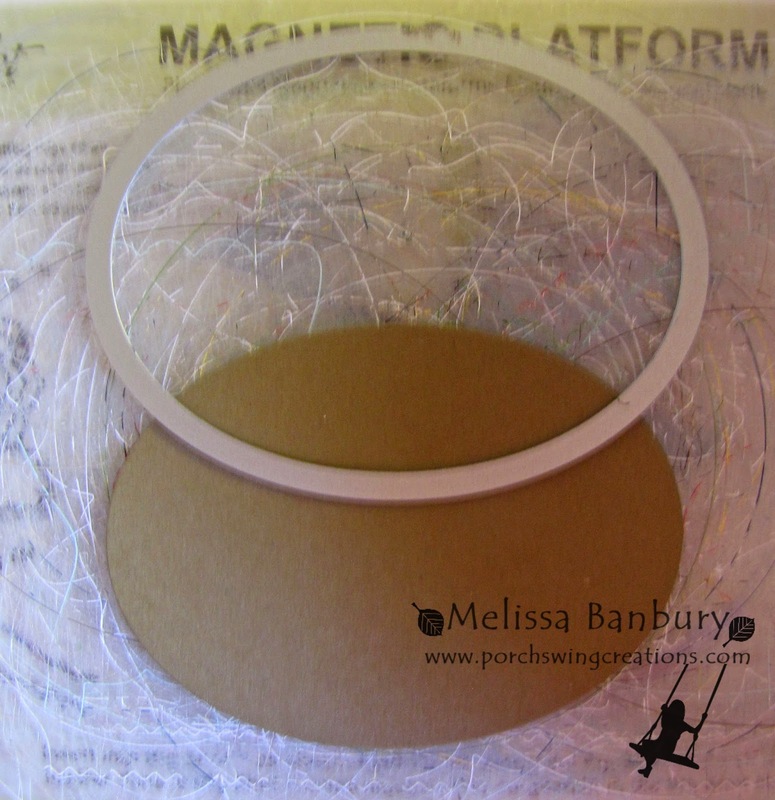 Begin by cutting out two of the 4th sized ovals from the Oval Collection Framelits from Soft Suede card stock. Layer the two ovals together and re-align on the Big Shot so that the Framelit looks similar to the photo above. Run through the Big Shot. KEEP ALL FOUR PIECES! Stamp all four pieces with the Hardwood stamp set in Chocolate Chip ink. Cut off the bottom portion of the ovals so that the "boat" will sit flat. 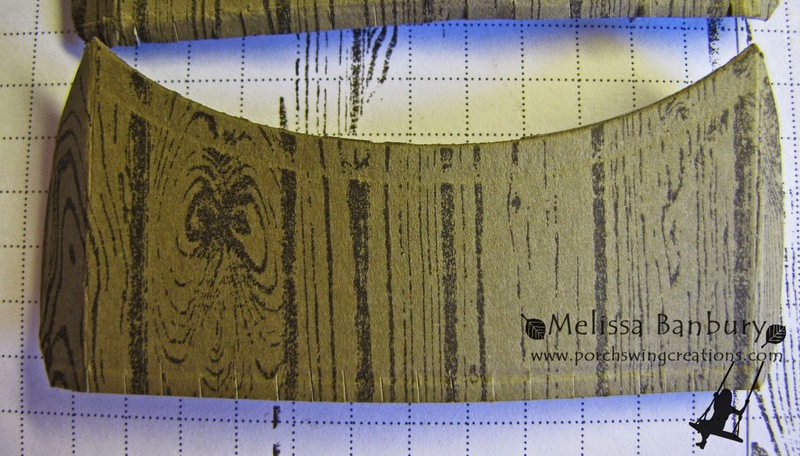 Score a line horizontally along the bottom of each oval approximately 1/8" and using paper snips cut small tabs. Layer the two sides of the boat together. 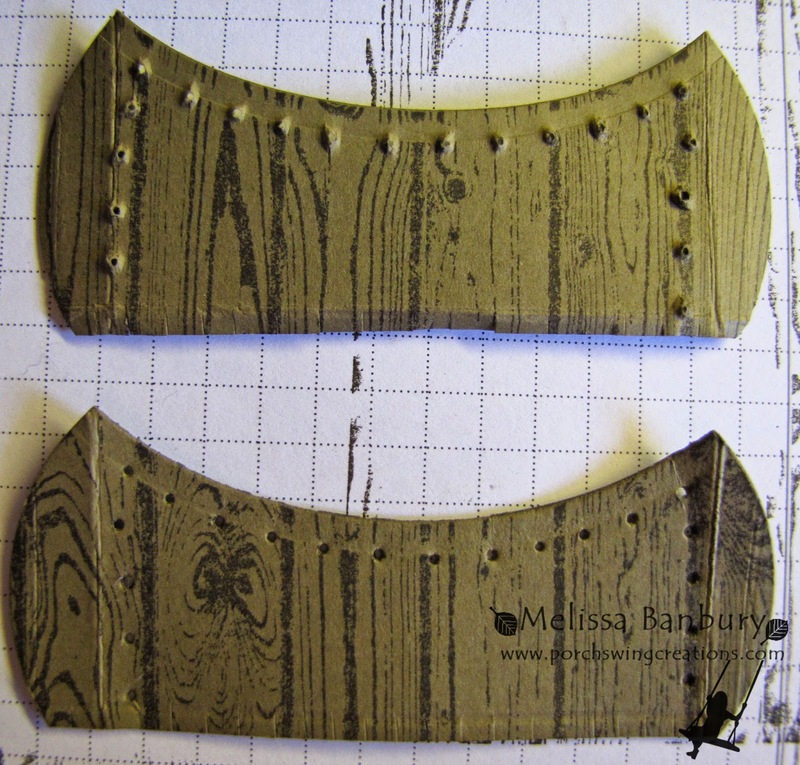 Place on a foam mat and with a piercing tool make a row along each side of the boat (just to the inside of the score lines) and a row along the upper edge. Place the pieces so that the stamped images are facing outwards, lining up the piercing holes as best as possible. Thread a sewing needle with Linen Thread and stitch through the first set of holes along the bottom side, tying a knot before moving on to the second set of pierce holes. Wrap the thread around the boat and bring the needle back up through the next set of holes. Before pulling the stitch tight thread the needle back through the underside of the loop and pull tight. This will create a blanket stitch. Continue this same stitch up the side of the boat, across the top (be sure to not sew the top of the boat together - just sew a single layer of card stock across the top), and back down the side of the boat. Knot off, and re-thread to sew along the other top side of the boat. Knot off again and cut thread. Fold tabs in along the bottom of the boat and apply Multipurpose Liquid glue to them. Place on one of the small ovals to create the bottom of the boat, shaping to the oval as best as possible. Trim off any excess. 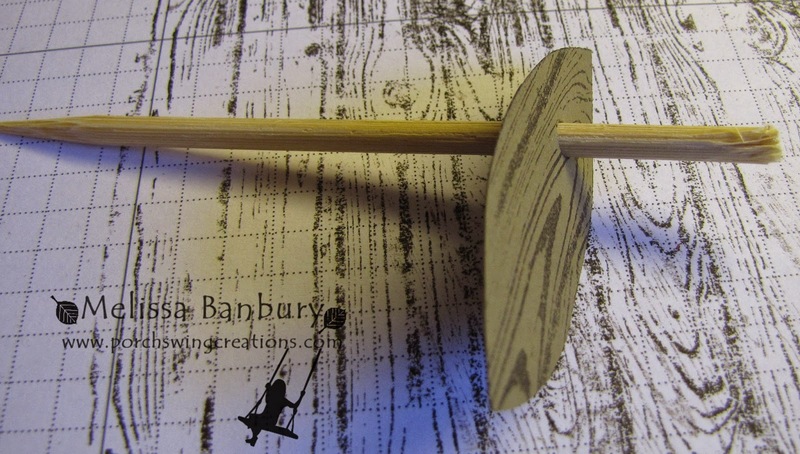 Cut a length of dowel or a bamboo skewer approximately 4" long. 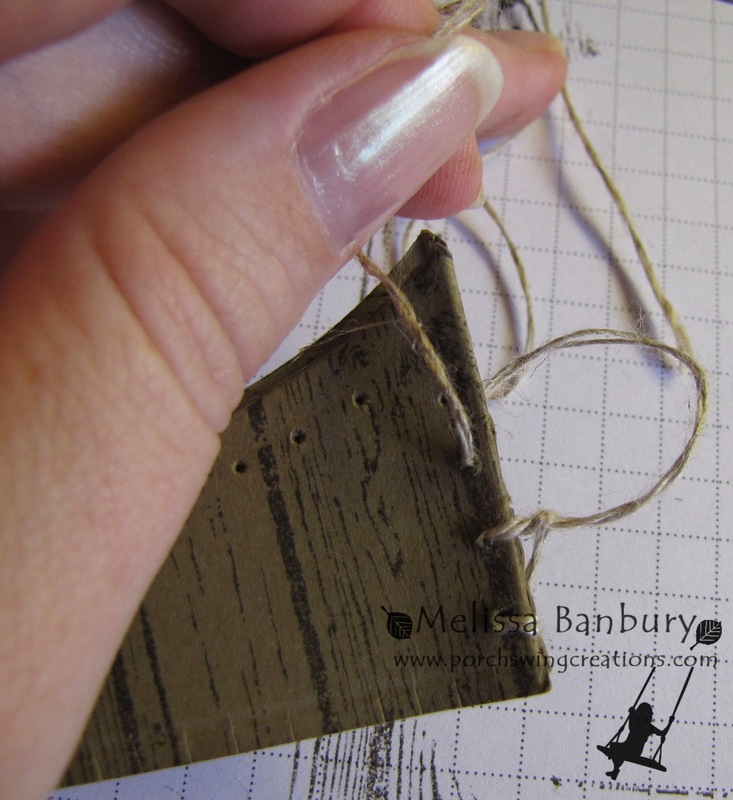 Punch a small hole into the second of the smaller oval pieces and thread the dowel through. Glue a small piece of Floral Foam inside the boat. 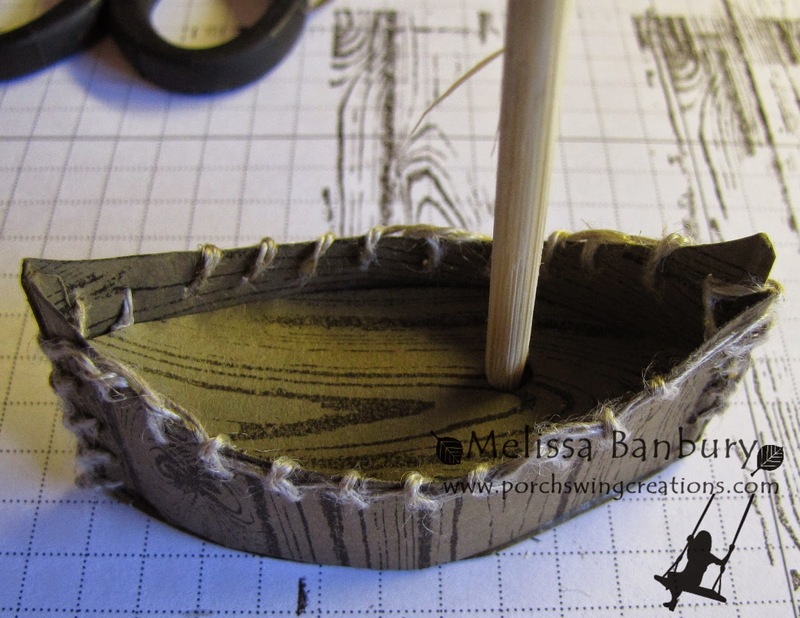 Push the dowel inside the floral foam and press the oval into place inside the boat. Cut a piece of Canvas Creations approximately 2" x 3". 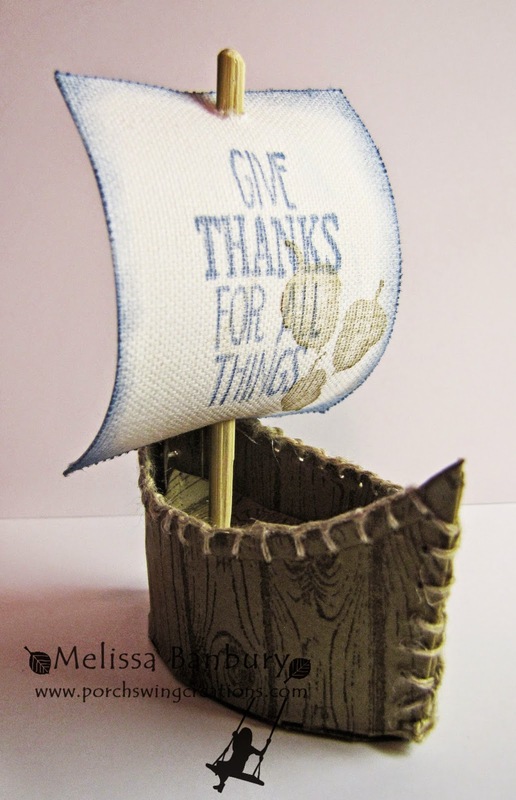 Stamp the Give Thanks For All Things sentiments into the center with Marina Mist ink. 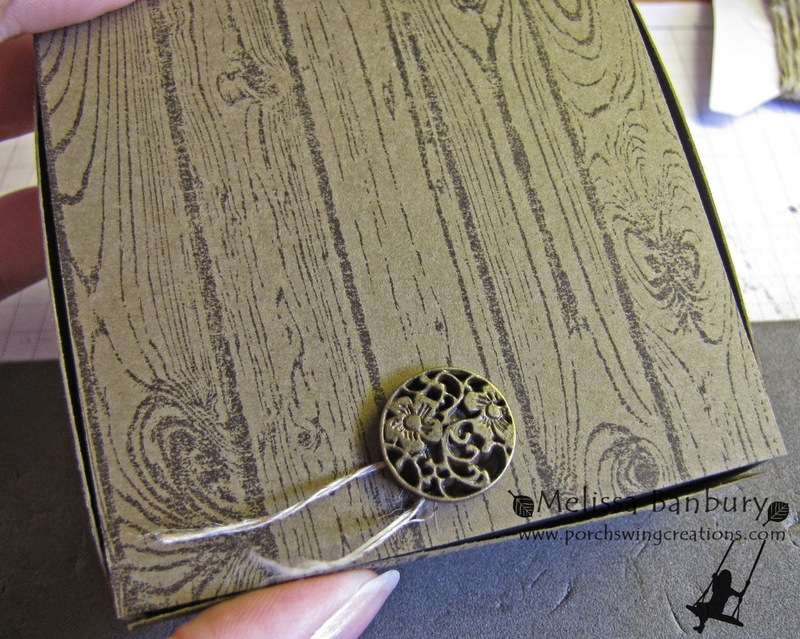 Stamp the Acorn image with Soft Suede ink into the bottom right hand corner. Sponge the edges with Marina Mist ink. Punch holes, centered, on both the top and bottom. Thread the dowel through the holes to complete the sailboat. I hope you can put these projects to use in your Fall/Autumn decor! I know this stamp set will be a staple in a few upcoming projects - each stamp is etched so that it looks like linen when stamped - AMAZING!! It's a set you definitely need in your collection! these are *fantastic* projects; how lucky you were to have them published & thank you for sharing the tutorial. Wonderful things you have made Melissa and congratulations on being published. It does give you goosebumps seeing it in a magazine, does it not? i can see why you were published. You are very creative. Congratulations on being selected and published in SU's magazine an honor indeed and it seems well deserved, your projects are adorable. Great projects! Congrats to you!